In Ontario, all employers covered by the Workplace Safety and Insurance Act are required to have first aid equipment, facilities and trained workers in all workplaces. Ontario’s Workplace Safety and Insurance Board (WSIB) sets out specific First Aid training guidelines for employers. In summary, for workplaces with 5 or fewer workers on any one shift, an Emergency First Aid certificate is required. For workplaces with 6 or more workers on any shift, a Standard First Aid certificate is required. CPR is a mandatory module as part of a first aid training program. In other regulated sectors such as hospitals, medical transportation services, sports medicine and rehabilitation services, advanced level First Aid certification including First Responder and Emergency Medical Responder is often a requirement. In the case of colleges and universities, First Aid training is often a curriculum requirement. 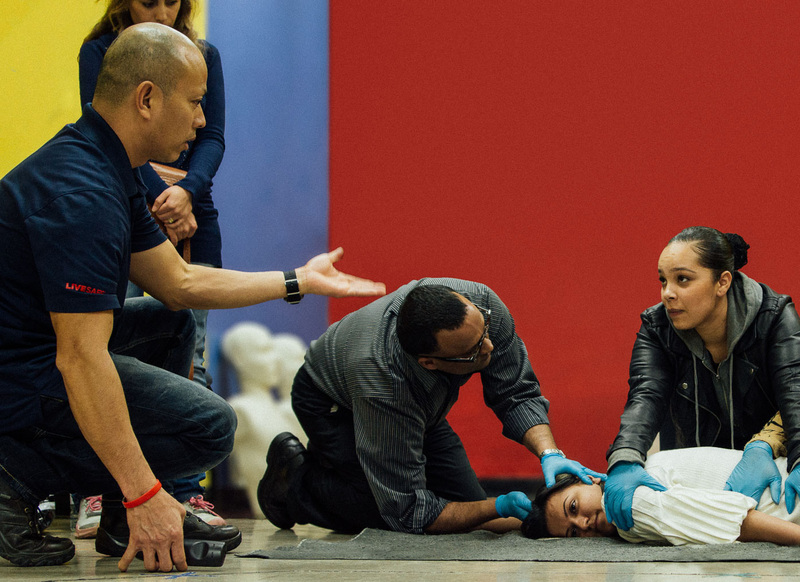 Regulations governing First Aid training are intended to make workplaces safer while providing responders with the skills and knowledge to provide calculated pre-hospital care to individuals faced with sudden, unexpected injury or illness in workplaces and public spaces. Updated every five years, the First Aid and CPR guidelines are agreed upon by the Canadian Guidelines Consensus Task Force, which is composed of leading non-profit agencies including the Canadian Red Cross. The updated guidelines include the most recent research from the international scientific community and distill findings into best practices for first responders and first aid providers. At times, some of these changes appear to be subtle, but they represent real, substantive improvements to addressing various minor and major emergencies. Adults experiencing chest pain should chew one adult or two low-dose aspirins while waiting for emergency medical assistance to arrive (unless they have an allergy or bleeding disorder). In the case of severe allergic reaction, the new guidelines recommend that first aid providers should help administer a second dose of epinephrine if there are no signs of improvement after the first dose. Some studies have shown that it is most effective to administer the second dose within 5-10 minutes of the first if symptoms have not stopped progressing. When someone experiences a blow to the head they should stop activity immediately whether sport related or in the workplace, and seek medical aid (even if they aren’t showing signs of a concussion). The routine use of cervical collars is no longer recommended as they can cause complications and discomfort for the injured person. Instead, in suspected cervical spine injury, the new guidelines recommend manually supporting the head in position, limiting angular movement, until more advanced care arrives. An estimated 70,000 heart attacks and up to 40,000 cardiac arrests happen in Canada each year. Lost-time accidents regularly occur in Canadian workplaces, and countless others take place every day in our homes and communities. Coming face-to-face with a workplace emergency can be overwhelming, depending on what kind of first aid is needed. A recent survey conducted by Nielsen Consumer Insights* and commissioned by Canadian Red Cross found that Canadian employees feel substantially more confident responding to various minor incidents, with 80 to 87 per cent reporting feeling confident in dealing with nosebleeds, minor wounds or bleeding. Knowing exactly what to do when faced with a health-related emergency at work is essential. The best way for employees to build confidence in responding to both minor and major emergencies is to equip themselves with F irst A id and CPR skills.